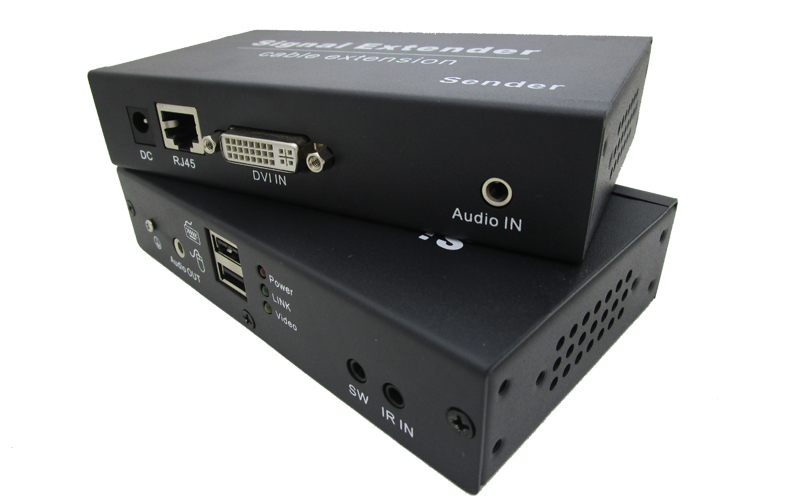 This product include a transmitter(marked with sender)and a receiver(marked with receiver),can extend the DVI video,USB signal，stereo audio, infrared to the far end through one single network cable. 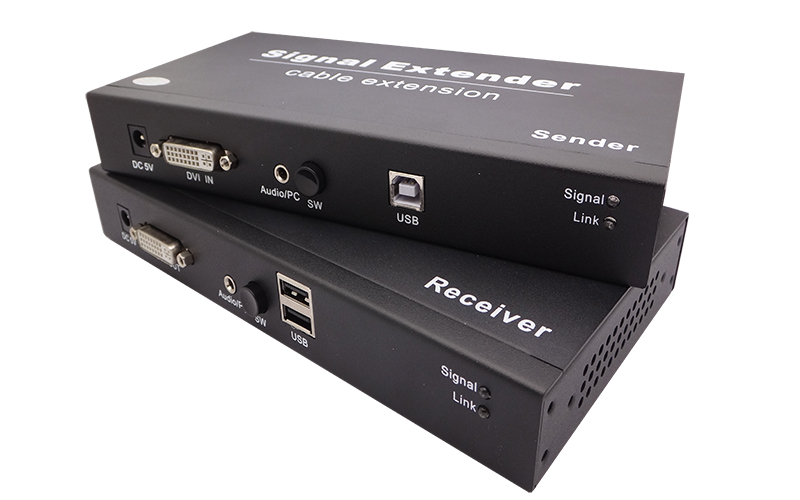 it adopt high-bandwidth lossless technology for digital signal transmission, user can see the real-time local image at remote. 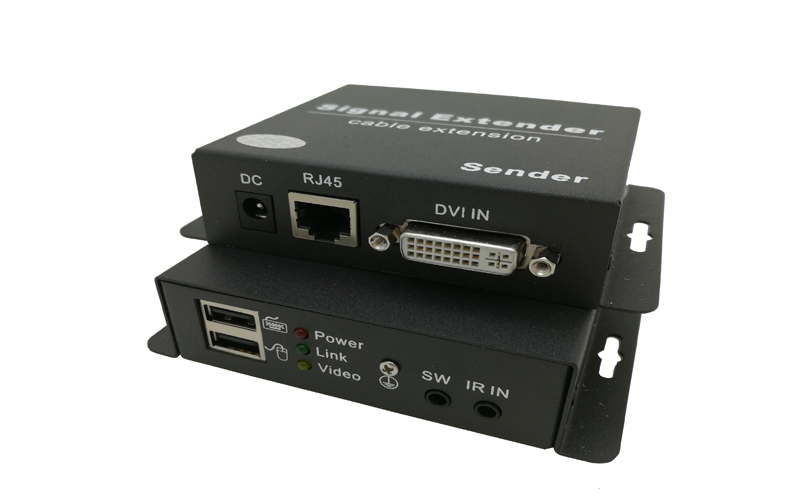 This product can be widely used in the field of computer and monitoring, large-screen advertising, education, splicing system, bank stock system etc. 1. Adopt HDBase-T technique，full digital, uncompressed, no delay transmission. 2. Transmission rate can reach10Gbps. 5. Compatible with HDMI signal.